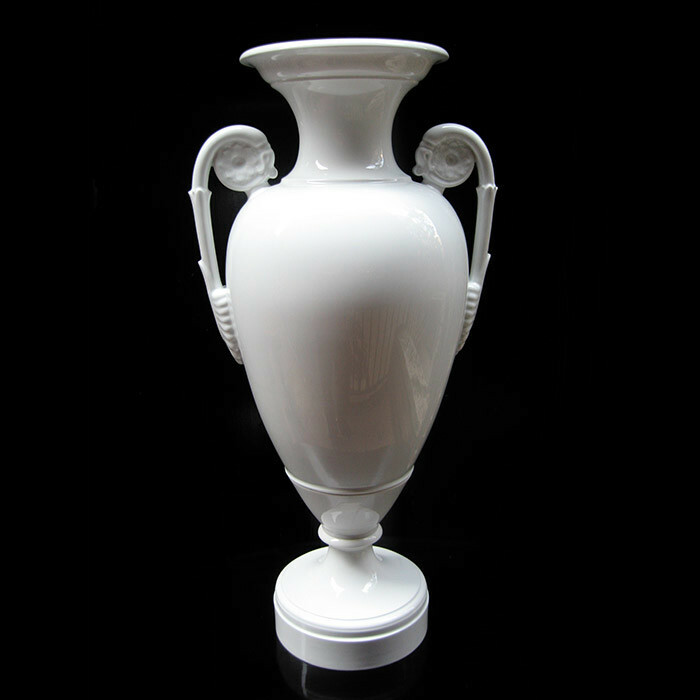 A tall KPM Neoclassical Amphora vase in white porcelain with decorative handles. Originally designed by K.F. Schinkel in 1812. Re-issued and manufactured by KPM in the 1960's.